Nothing says girly like sparkles, purple and butterflies! 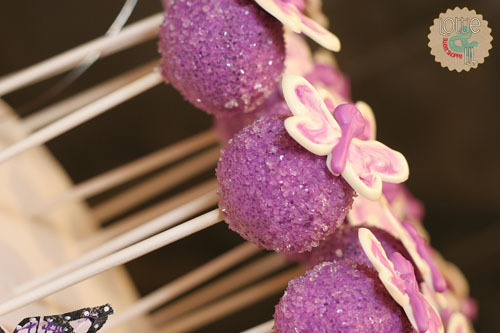 These glittery purple cake pops are topped with decadent chocolate butterflies for a special little girl’s 1st birthday. 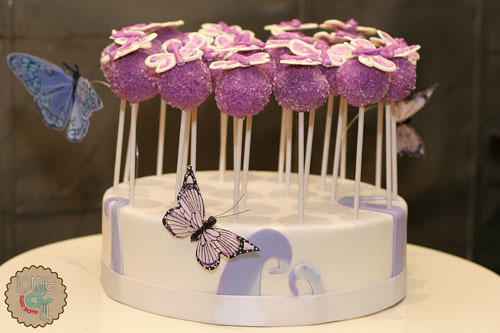 To allows guests to easily grab a butterfly pop during the celebration a custom display was created to match the rest of the party decor. This entry was posted on Monday, November 12th, 2012 at 7:46 am	and is filed under Birthday Pops.